Sensor Dynamics is a solutions provider. While we sell cameras, poles and bollards, our key offerings are the services in connecting that equipment seamlessly into a solution for you and your organisation. All of our team members are selected on their desire to innovate, strive for quality and ability to problem solve. The result is a group that can provide complex engineering solutions that are simple to use – from concept to completion. Sensor Dynamics Business Analysts and Consultants drive deep to truly understand your business and the issue or opportunity so you know what tests to perform in order to ensure satisfaction that the system is working to requirement. 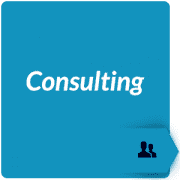 Depending on the complexity of your request, your consultation may be a short discussion or several group workshops. We will also bring true innovation and pragmatism to the table. If we think a process can be done a better way, we will let you know. 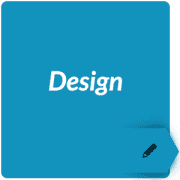 From there you are able to make an informed decision on the best way to proceed with your project. The Sensor Dynamics suite of software utilizes the latest in Microsoft technologies and have employed a highly pragmatic approach to architectural design to meet the rigors of a vehicle management system – a highly available, high volume transactional system. This is to guarantee our clients are always ahead of the game in terms of future proofing of solutions, thus providing protection for the investment into the future. Sensor Dynamics have a wealth of IT experience in-house, across a wide variety of disciplines including .NET web development, SQL databases, system engineering and change management to name a few. Sensor Dynamics have adopted a Scrum Agile methodology – a way of managing software development to meet real world challenges. It provides for an adaptive, iterative approach – with the key being that communication with the client is at its core, both in terms of making sure the solution aligns with customer requirements and also that progress is continually being fed back to the client. We have a diverse team of Engineers with expertise in Software, Electronics, Electrical and Mechanical Design with a broad range of industry experience. Working closely with the sales teams our engineers capture customer’s requirements and create bespoke solutions. Our engineering team manage projects from the initial quoting stages to delivery and installation ensuring co-ordination with our software development team. The engineering team utilises both in-house technicians and external contractor project managers to ensure timely delivery of projects. Our aim is always to exceed client expectations. With continual communication with clients at every stage, the project status should never be a mystery to our customers. At the conclusion of a project clients are provided with a final commissioning report to approve and ensure all key areas are complete prior to final payment and handover to our customer service team for ongoing support. Every software release is tested rigorously before being released to customers or deployed in production. Our software testing process starts with developing test plans and test suits built using the business requirements document and identified business/projects risks. 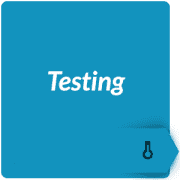 A test environment is built to exactly match the production server for software deployment and test plan & test suite execution. 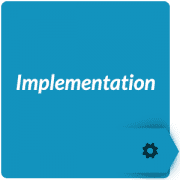 Software is tested at Component, System and Integration level for meeting/exceeding business functional and performance requirements. All issues discovered are logged and tracked in a defect tracking system (JIRA) and a release is made only once all the exit criteria are met. Software installation guides and user manuals are produced for the client. A detailed test summary report is also produced along with a detailed software release notes. The Customer Service and Support team are here to help 24 hours a day and 7 days a week. 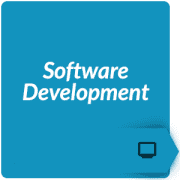 With all of our software written in-house, our support team has direct access to our development team. 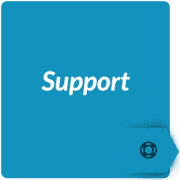 It is this immediate access to high level technical support that differentiates our quality of service and responsiveness. Our dedicated Customer Service and Support team are here to ensure your vehicle management solution enjoys maximum uptime and runs smoothly. Scheduled preventative maintenance is carried out at a frequency appropriate to your needs and site requirements: annually, quarterly or monthly. These maintenance services ensure software is updated to read new number plates as they are released, ensure the cameras are clean, correctly aligned, tested for accuracy and the software is fast, responsive and databases maintained. This information is all provided to you the client in a comprehensive site specific report detailing all maintenance activities.